Verizon has started off the year 2018 with some generous offers allowing their customers to exchange their devices or buy new ones at low rates. The newly announced deal is the one where you could buy previous gen’s flagship model LG G6 with a flat 50% off its original price tag. When Samsung is about to launch its Galaxy S9 at Mobile World Congress 2018 and lots of other enticing models like Pixel 2 XL and Moto X4 available in the market, many buyers may prefer to opt for one of the newest phones. 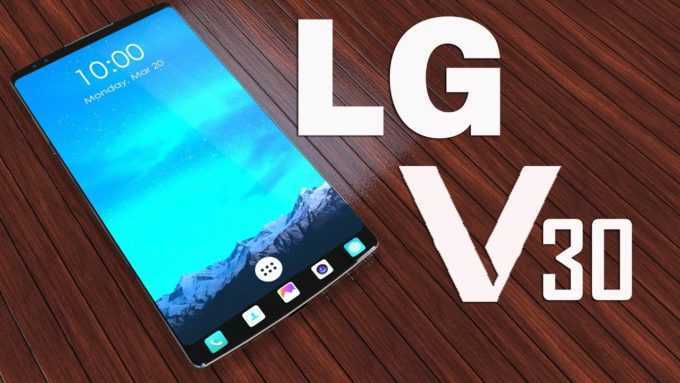 However, if you think about value for money and getting a great Android experience which is readily possible on most flagship phones released in the past two years, then LG G6 is an amazing choice to go with. 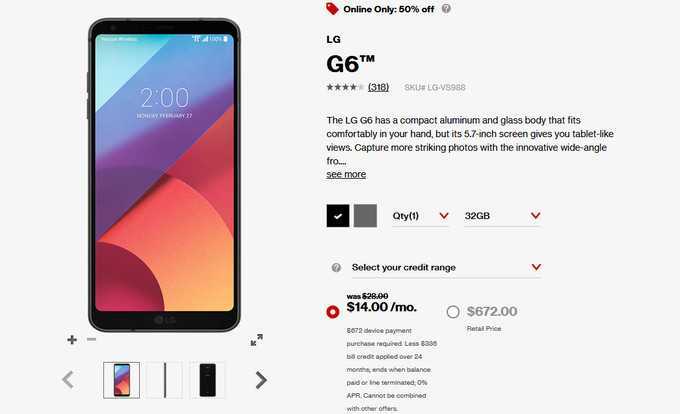 The new Verizon Wireless offer allows all their customers to save a solid 50% from the official price tag of the LG G6. The original price of the phone is $672 which is quite expensive especially for those who are on a stringent budget. By choosing to avail the offer, you won’t get an instant discount but rather you can choose to pay a meager $14 per month which includes the plan and the price of the handset instead of the usual $28 per month. The subscription plan will last for 24 months on a Verizon contract which when you successfully complete will allow you own the price for just $336 instead of $672. The deal has been updated on the official website and the company claims this offer is available only online. There is no specific end date for the offer but it will be open for a limited period before it expires. If you are really interested in this smartphone, it is better to make the purchase quickly than having to think twice. Verizon Wireless also has another interesting deal that is ongoing. When customers choose to purchase Google Pixel 2, Samsung Galaxy S8, LG V30 or the Moto Z2 Force, they can get a second phone for free. It will be similar to the flagship model you choose and the discount is great for a couple or friends who like to share a plan as well get access to the latest Android smartphone available in the market. More similar offers are expected to be made before MWC 2018 which will witness the launch of newer and more powerful devices next month.